I love Cauliflower allot! So when my daughter Saleeha made this for me I fell in love yumm! It is simple and delicious! Wash and cut cauliflower, mince garlic. 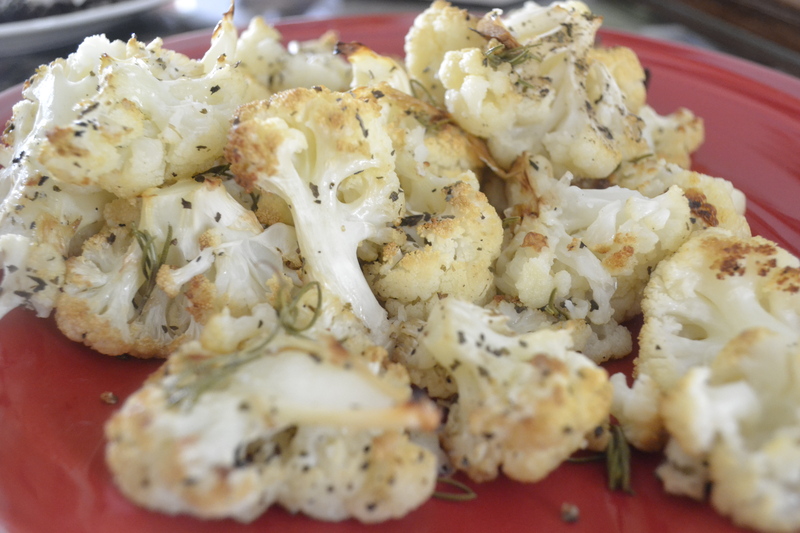 Put cauliflower into a large bowl and add other ingredients, place on large baking pan and put in oven. Let cook to desired tenderness. I love the garlic to get crunchy so I let it cook for about 30 minutes.